The many links between stress and hair loss are well documented. Due to there being so many potential sources of stress, it can be hard to pin down exactly what the key factors that contribute to levels high enough to cause hair fall actually are. This is where the results of the 2018 Mental Health Foundation study provide valuable insight, and may explain why people seem to be experiencing hair loss from an increasingly earlier age. Undertaken by YouGov, a market research agency specialising in online data collection, this poll of 4,619 adults is the largest known study of stress levels in the UK. YouGov found that almost three quarters of the people polled (74 per cent) had felt overwhelmed or unable to cope during 2017, due to high levels of stress. This was more prominent among younger generations, with young adults aged 18 to 24 years old, being particularly affected. Meanwhile a third of the older people surveyed (aged 45 and over) reported never having felt this way in the past year – something noted in only 7 per cent of young adult respondents. Of all the adults involved in the poll, those who reported stress in 2017 36 per cent of under 55’s and 44 per cent of over 55’s put it down to long-term health conditions – either their own or that of a friend or relative. Debt was cited as the primary cause of stress for 22 per cent of the participants. The influence of particularly modern pressures was reflected in some of the YouGov findings. Of the people claiming high stress levels during 2017, 12 per cent blamed the feeling of needing to respond to messages instantly. Almost certainly due to the rise in social media, just under half of all 18 to 24 year olds (49 per cent) said that comparing themselves to others was a factor in their being acutely stressed. Specifically referencing how comfortable they were with their own appearance and body image, 36 per cent of women and 23 per cent of men who self-reported being highly stressed, cited this as the reason. Societal issues including housing worries and the pressure to succeed with also disproportionately affected young adults more so than those aged 45 and over. In 2017, 32 per cent of 18 to 24 year olds compared to 22 per cent of 45-54 year olds listed homing issues as the reason for their stress, whilst concern over being successful was cited as the reason for 60 per cent of 18 to 24 year olds and 41 per cent of those aged 25 to 34. This dropped to 17 per cent in the 45-55 age bracket, dwindling further to 6 per cent in the over 55s. Researchers noted that this emotional stress was coupled with mental health problems in over half of all adults who took part in the study. Whilst 51 per cent of stressed adults also reported feeling depressed, 61 per cent said they also felt anxious. Additionally, 37 per cent of the research group who felt stressed admitted to resulting feelings of loneliness. As a response to the psychological aspects of feeling stressed out, YouGov found that many people indulged in unhealthy lifestyle habits. While 46 per cent of people admitted eating too much or unhealthily, 29 per cent started drinking or increased their alcohol intake, and 16 per cent either took up smoking or smoked more due to stress. Stress tends to have a drying effect on the body as a whole, which can result in dull-looking skin and hair. It can also lead to thinning hair from all over the scalp either as a direct cause of stress or exacerbated by some of the unhealthy habits or nutritional imbalances stressed people may have. In addition to exacerbating existing cases of Male Pattern Baldness and Female Pattern Hair Loss – or initiating their premature onset in people with the relevant genetic predisposition – the way in which stress presents can lead to different hair loss conditions. Where there are consistently high stress levels that often built up gradually, such as that caused by work or family pressures, the shedding that ensues is known as Telogen Effluvium. Whilst more common in women, it can affect men as well and tends to cause intense bouts of hair fall from all over the scalp around three months after having been triggered. This is due to stress provoking a blip in the hair growth cycle, sending hairs which would otherwise have been actively growing into the resting phase where they remain dormant and then shed a few months later. Up to 50 per cent of scalp hair can be affected and, whilst this can be distressing, it is temporary, lasting no more than six months. Cases in which the cause is on-going may lead to the more acute Chronic Telogen Effluvium; this lasts for at least six months but is still temporary. Normal hair growth should resume of its own accord once the causes have been dealt with, though Telogen Effluvium treatment is available in both instances. Should immense stress come on suddenly – for instance as the result of an unexpected trauma such as bereavement, divorce or job loss – it can trigger either of the aforementioned conditions, but it can also result in Alopecia Areata. This autoimmune disorder, which displays as rounded bald patches which can vary in number and size, and occur anywhere on the scalp, causes the hair to fall out suddenly. 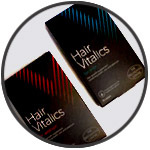 It happens when a shock to the system effectively pauses the normal hair growth process. Whilst the patchy hair loss is often disconcerting, it often resolves itself naturally, with regular hair growth starting to function normally again within 12 months. However, Alopecia Areata treatment may be used to help to speed up this process. When looking to prevent hair loss from stress, the first step is to lead a balanced, healthy lifestyle to help with stress management. Some things cannot be predicted nor prevented, however. So, anyone finding themselves under prolonged pressure and noticing changes to their hair, whether this is sudden or excessive hair fall, or classic signs – such as a receding hairline – starting to develop, should ideally consult a specialist as soon as possible. They will be able to provide a diagnosis and personalised hair loss treatment recommendations, where needed, which – if nothing else – will be one less thing to worry about.